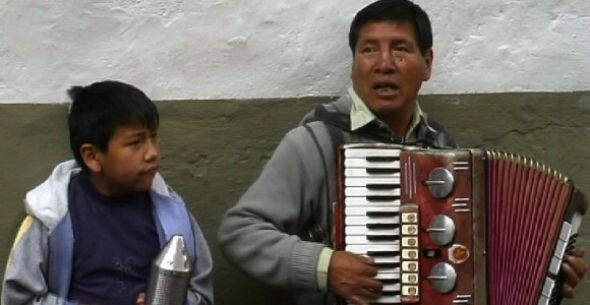 Los Astros De Ecuador are a father and son team of street musicans who play regularly in the streets of "old town" Quito. The father is blind and so they are allowed to play without permit. They play traditional folklorico music usually with an Accordian and guacharaca.